Keeping your child healthy is probably your biggest priority as a parent. Sometimes though, it seems like a lot when trying to get your child the best possible care while also juggling a variety of other medical appointments. A child needs their physical each year to ensure they are developing at a healthy rate and to address any other health/developmental issues. A routine physical, otherwise known as an annual checkup, allows a physician to identify any emerging healthcare risks your child may have. The physical examination also helps your doctor determine if your child is developing at a healthy rate and recommend specialty care as needed. Sometimes a child may need additional physical examinations to play school-sanctioned sports and other physical activity programs like summer. Always call your primary care provider’s office, or visit the nearest urgent care center, to consult with an expert about when your child’s recommended physical is due. A child that experiences seasonal allergies or seasonal diseases frequently may require multiple preventive care services. Preventive services including health screenings, chronic disease testing, and the annual flu shot all help to keep your child healthy throughout the year. Screenings allow physicians to identify specific healthcare conditions and refer treatments as needed. Sometimes, an urgent care center may also be equipped to administer treatment. Vaccinations like the flu shot are also the most effective way to prevent the onset of many common diseases. The flu shot helps bolster a child’s immunity to the flu shot once a year. Other vaccinations address serious diseases such as mumps, measles, tetanus, and Hepatitis A and B. 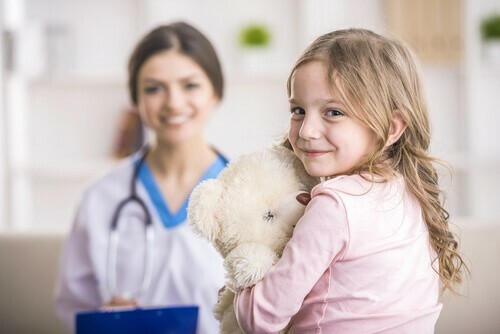 A primary care provider or medical professional can best advise you when your child may require an updated vaccination. Additionally, a child that has seasonal allergies like hay fever can recieve treatment for allergy symptoms at a walk-in clinic. No matter how much you plan your child’s pediatric healthcare appointments, the unexpected may require immediate medical attention. For minor injuries such as cuts, lacerations, bone fractures and sprains, and similar events you can always take your child or an urgent care center ASAP. An urgent care center usually provides a shorter wait than the emergency at the fraction of a cost. However, if your child is experiencing a life-threatening medical emergency such as a wound that won’t stop bleeding after first aid, poisoning, difficulty breathing, or another critical medical situation should use emergency care. Seek out the nearest hospital/ER if your child is experiencing a true medical emergency.